John even turned producer and scored massive hits in his career like Vicky Donor and Madras Cafe. John slowed down in his career recently as he became quite selective. He impressed the audience with his outstanding performance in Force, which happened to be the remake of South Indian movie Kaakha Kaakha. Marathi director Nishikant Kamat made his directorial debut in Bollywood with this movie which was a massive hit. The director then came up with Drishyam which too was a South Indian remake, and it impressed the audience. Ajay Devgn and Shriya Saran played the lead roles in the movie which is said to be a thriller. Nishikant again teamed up with John Abraham for his third directorial and the movie has been titled as Rocky Handsome. 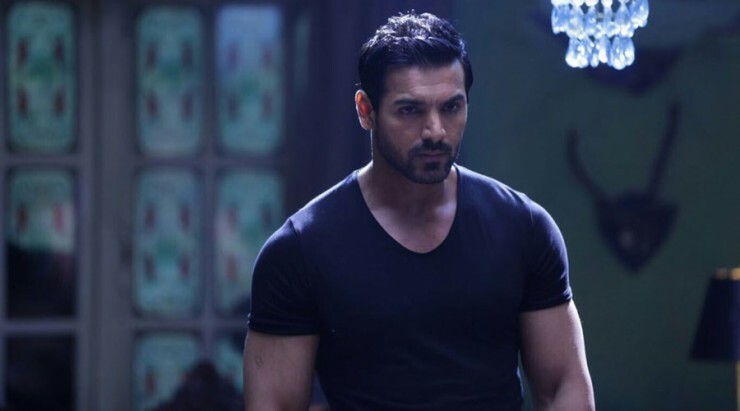 John Abraham has been thoroughly impressed with the script which has been adopted from a Korean film The Man From NoWhere which is said to be an action entertainer. Sharad Kelkar played the negative leads in the movie. Sunny Bawra and Inder Bawra composed the music for the movie. The flick released all over the world on March 25th. John has been quite confident on the film, and he even planned special premieres for the movie a day before the film was released. RH received mixed response from the audience all over, and the movie has been praised all over by the action flick lovers. The film collected Rs 7 crores including the premieres on the first day, and the collections have been decent over the first weekend. However they dropped drastically during the weekdays because of the negative word of mouth. The flick collected Rs 22.85 crores in its first week across the country which has been less. The film dipped further and collected Rs 1.2 crores in the two days of its second week making the total reach Rs 24.05 crores. John Abraham Entertainments and Azure Entertainments produced the movie. Stay tuned to The Reporter Times for latest Bollywood news and updates across the globe.